Banff to Calgary airport transportation with Banff Chauffeur's airport shuttle express service. Banff Chauffeur's transportation charter rates for private transportation from Banff and Lake Louise to Calgary International Airport. 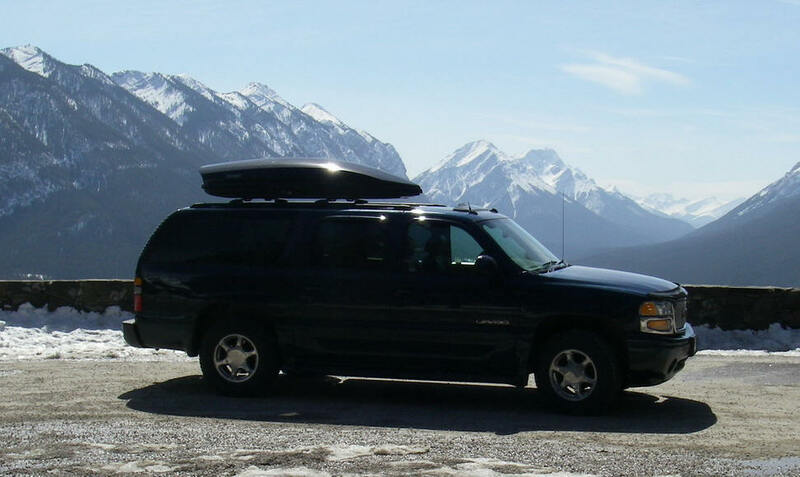 Banff Chauffeur's Private Airport Express SUV Service Calgary to Banff in 90 Minutes! Guided Fishing: Please contact us for a Quote. Banff Chauffeur's Holiday Long Private Chauffeur Service: Please contact us for a Quote. To book a reservation kindly call our driver Jim Dykstra direct at 1 403 678-7980. 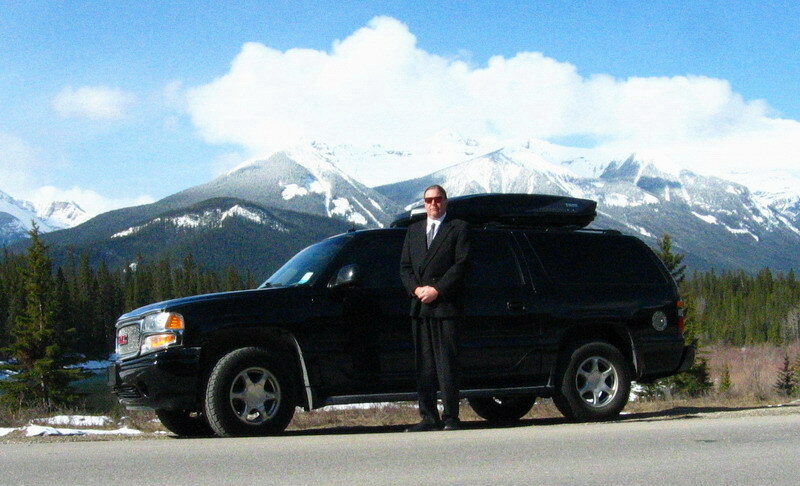 Or E-mail Jim@BanffChauffeur.com . Thank You. We can accommodate one to five or six passengers. Visa, Master Card, Cash. Thank You. Jim Dykstra, your chauffeur, has an immaculate driving record so that you can feel reassured and relaxed on your vacation as your happiness, comfort, and safety are our main concern. Luxury and first-class service are synonymous with Banff Chauffeur and our spacious executive SUV is ready and waiting for your arrival. No sales agents or quotes a day later with possible availability, as your call to 1 403 678-7980 goes directly to the owner and your driver Jim Dykstra. Find out real time information about how your great vacation can be facilitated with the professional private transportation services at Banff Chauffeur. Banff Chauffeur's list of transportation services would include: airport transfers from Calgary International Airport to Banff, Sunshine and Lake Louise Hotels, half day and full day scenic drives, transfers between Banff and Lake Louise Hotels, private dinner sedan driver, and our exclusive holiday long private chauffeur transportation service. We answer the phone 24 hours a day 365 days a week.